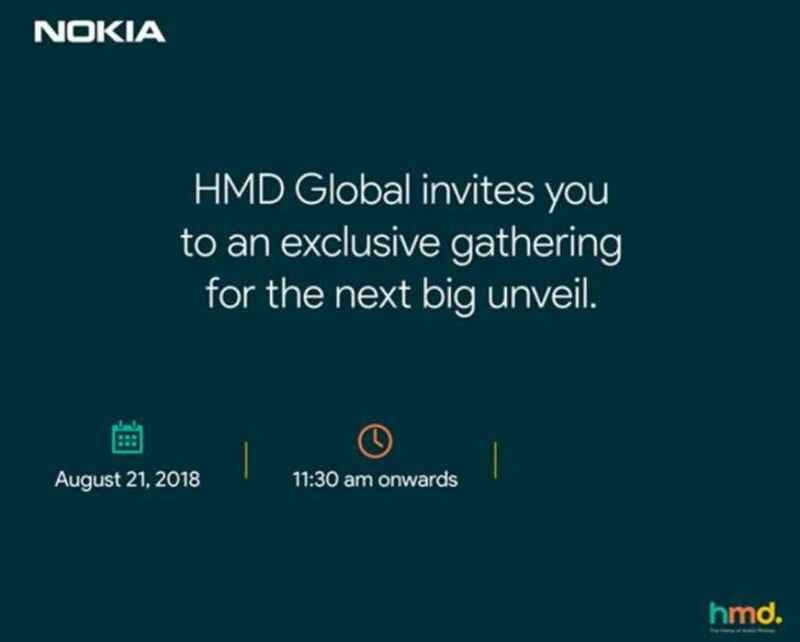 HMD Global recently started teasing a new launch of Nokia’s smartphone for other global markets including India. The company has now rolled out official invitations to the press event on 21 August in the country where the Nokia 6.1 Plus smartphone is expected to be introduced. The Nokia 6.1 Plus, the global version of the Nokia X6, was launched in China in May. Smartphone sales were expanded outside China with its launch in Hong Kong. A few weeks ago, an alleged user manual of the Nokia 6.1 Plus smartphone was spotted on the Nokia India website, along with SAR details indicating an approaching launch. The highlight of Nokia 6.1 Plus is the 5.8-inch LCD with a notch and a resolution of 2280 × 1080 pixels. The notch on the Nokia 6.1 Plus is similar to most other smartphones on the market and hides the front camera and other sensors. The notch also results in a higher aspect ratio of 19: 9, which is larger than the aspect ratio of 18: 9 on most smartphone displays with a limited budget. The device is powered by the octa-core Qualcomm Snapdragon 636 mobile CPU with Adreno 509 GPU. The processor is the same as that under the bonnet of the Asus Zenfone Max Pro M1 and Xiaomi Redmi Note 5 Pro. The Nokia 6.1 Plus comes standard with 4 GB of RAM and 64 GB of internal storage, but HMD Global may offer different storage options to better compete with its rivals. There is also a double rear camera installation, consisting of a 16-megapixel f/2.0 main sensor and a 5-megapixel secondary sensor with f/2.2 aperture. At the front, the Nokia 6.1 Plus gets a 16-megapixel selfie shooter with a pixel size of 1 micron and f/2.0 aperture. The smartphone is supported by a 3.060mAh battery. The Nokia 6.1 Plus is part of the Android One program and runs Android 8.1 Oreo. The company has confirmed two major software updates and three years of security updates for all its devices. We are not sure of the price, but if we look at the prices in Hong Kong, then it seems that Nokia would like to prize it aggressively because of popular competitors such as Xiaomi Redmi Note 5 Pro and Asus Zenfone Max Pro M1.